As you all probably know Finding Nemo the Musical was not the first show at that theater. Before that, there was dreadful production called Tarzan Rocks (if you don't believe me, go to you tube). 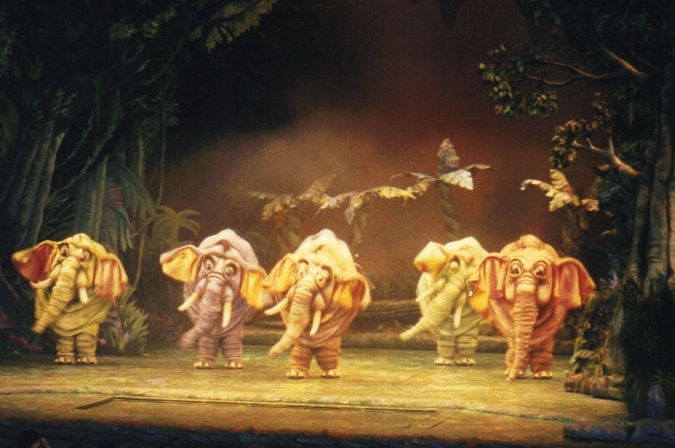 Bu before that, there was Journey to the Jungle Book which lasted only about a year. This was a fun and elaborate production. Shere Khan and the elephants in particular were well designed. It told the basic story in about 30 minutes. Maybe the best part was King Louie's monkeys who would often come out near entrance to Dinoland near the Boneyard to entice people to the show. If we have but one regret about our beloved Animal Kingdom, it is that this show had such a short run. 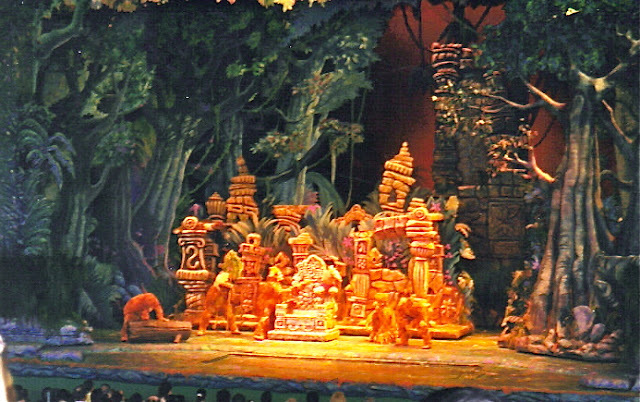 Tarzan Rocks and Finding Nemo - the Musical are fine shows, but none have come to the standard of Journey to the Jungle Book. It is a Disney classic which deserves a greater presence in the park.